No chemical process can create or annihilate atoms." The 18th century is the time of many changes (political, industrial, cultural). Also physics developed fast. Scientists used Newton's laws to describe their discoveries, but they also created new theories and laws for better understanding of nature. Scientists did a research in chemistry. It's also the time of researching electricity. Occurrences of electricity were known even in ancient times (Thales described the electrical influence of amber electrified by rubbing) but it wasn't thoroughly researched till 18th century. All that led to better understanding of laws of microstructure. Scientists, no more hesitating, were using data from experiments and for many, experiments became the most important scientific instrument. Stephen Gray (1670-1736), discovered that electrical current can be moved from one place to another by different metals and moist fibres. That substances cannot be electrified by rubbing. He called them "conductors". Gray's investigation proved that electricity is not similar to Gilbert's "fluid", because it is not connected with the substance for long periods. Dufay in 1733 discovered, that there are two kinds of electricity. He noticed that a gold plate electrified by a piece of glass rubbed with silk would be repulsed by glass and attracted by a resinous substance - copal rubbed with fur. 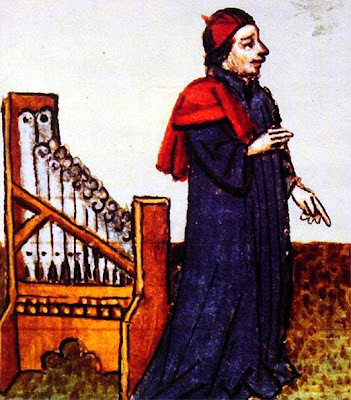 Than Dufay found many other substances behaving like glass or copal when touched by the electrified gold plate. So he named that two kinds of electricity the "glass" one and the "resinous" one. 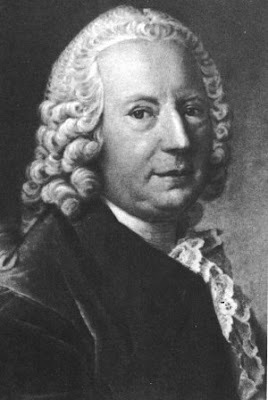 Daniel Bernoulli (1700-1782), starting with the idea of atom, proved Boyle's law, assuming that the pressure of a gas consists of atoms colliding with the walls of the container filled with this gas.. It was the first time when the hypothesis of atom were used in quantitatively and experimentally verifiable calculations. 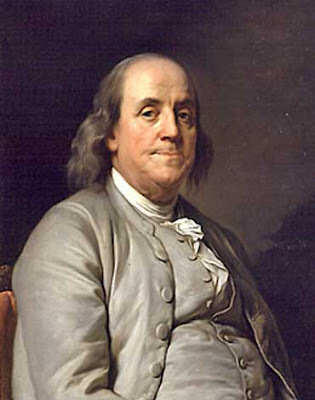 Benjamin Franklin (1706-1790), worked on the problems of electricity. He introduced the idea of the positive and negative electricity. He maintained that electrifying bodies consist of electricity's flow. He formulated the electric charge's conservation law. He explained electrostatic induction. 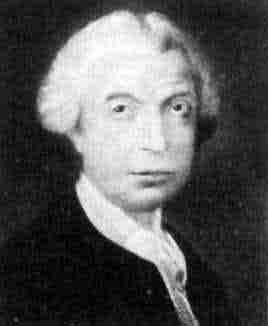 Rudjer Josip Boscowich who was born in 1711 in Dubrovnik and died in 1787, created some interesting theories about world's microstructure. 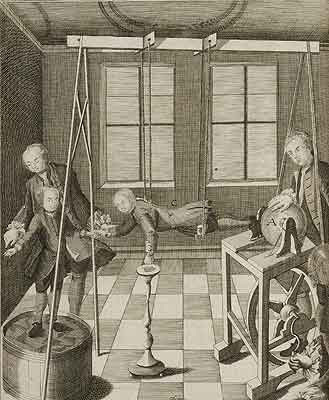 Although he knew Newton's works he didn't accept the law of universal gravity completely. He thought, that it might not be the rule in atomic scale, where attractive force could be always equilibrated by the repulsive force. He postulated the existence of a field of force which could be described using geometry. He also said that atoms were particles without any dimensions, they were reduced to geometric points. 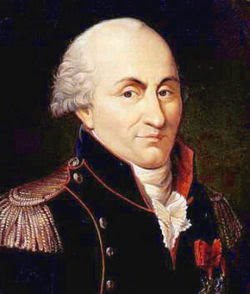 Charles Augustin de Coulomb (1736-1806), worked on problems of electrostatics and magnetism. He created torsion balance. Thanks to it he could precisely evaluate forces. He showed that forces between charges are inversely proportional to the square of the distance between them. He also discovered that identical charges repulse and different charges attract. 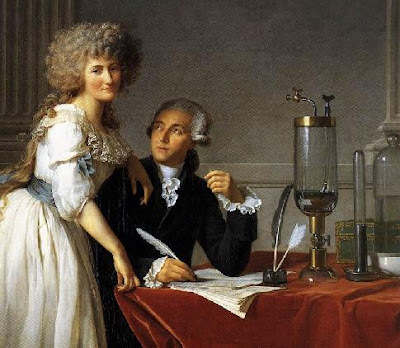 Antoine Laurent Lavoisier was the great French chemist, who lived between 1743 and 1794. Chemistry as a science, at the beginning of the 18th century, was an assembly of different, chaotic rules. The same was with chemical nomenclature. Lavoisier arranged chemical nomenclature based on the names of simple substances while giving names to complicated substances composed of this simple ones. But before he could systematise chemical nomenclature he had to make changes in chemistry. He proved that all elements could occur in three states of aggregation: gaseous, liquid and solid. He showed that during burning, substances combine with oxygen. He also proved that water could not change into other substances like many scientists thought. He thought that precipitate left after boiling water, didn't come from the water but from the pot. After longer research he managed to prove that water consisted of oxygen and hydrogen. Decomposing water he discovered that the weight ratio between oxygen and hydrogen was always 8:1. It was a direction indicating that world consisted of atoms. Lavoisier believed in it, but he didn't developed his study of atom. He arranged chemistry in such a way, that the next scientists could easier fathom its mysteries and penetrate chemical secrets. Alessandro Volta (1745-1827), was the originator of the first galvanic cell (in 1800). It was made of zinc and silver electrodes immersed in sea water. He built also an electrometer to measure currents. 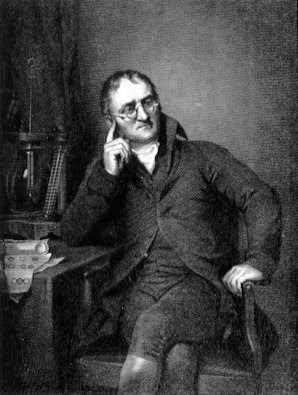 John Dalton (1766-1844) was the first chemist who in explaining different phenomena used the theory of study of atom. He researched gases. He discovered the law of partial pressures. Dalton's law says that pressure of nonreactive gaseous mixture is equal to a sum of pressures of each, separate element of the mixture having the same volume as the mixture has. Another Dalton's discovery, which he made in 1804, was showing that, if two elements have more than one combination, then weight amounts of one of them belonging to unchanging amount of the second one are staying in relations of small integers (the law of stoichiometry). For example, for chlorine oxides (Cl2O, Cl2O6, Cl2O7) masses of oxygen belonging to chlorine unit are staying in proportions 1:6:7. Dalton noticed that results he got could be simply explained using the conception of atom. Expanding study of atom ideas he assumed that chemical combinations were created by combining the atoms of different elements. He was of the opinion that atoms of different elements had different masses, as mass unit he took the mass of one atom of hydrogen. He laid the foundation of modern study of atom and he described world's microstructure explaining most of occurrences known those days. After over two thousand years, finally there were so many proofs of atom's existence, that hypothetical till then, atoms became real (although Dalton's particles were not the same as Democritus's ones because it appeared they were not final components of matter). Research on atom, which took place in 18th century brought many answers but also many questions. Finally, thanks to Dalton's works there was enough proof of atom's existence that it became a publicly admitted scientific concept. It also appeared that there were two kinds of molecules - the positive ones and the negative ones. Some secrets of electricity were explained but mostly it was still a puzzle, which scientists tried to solve in the next century.